It’s time to mark your calendars and get your countdowns ready as the reboot of Nickelodeon’s highly-acclaimed, hit game show, Double Dare will be making its way onto our TV screens on June 25th at 8:00 PM ET / PT. Double Dare is one of the most iconic game shows that brings together mind-boggling trivia questions along with out of this world, crazy, physical challenges. With a competition show just as awesome as this one, a terrific host is needed and that’s where social media sensation Liza Koshy comes in. A fan-favorite amongst everyone, Liza Koshy will be bringing her exuberant and vibrant persona and her love for challenges as she hosts all new episodes of Double Dare. Double Dare is unlike any other show you have seen before. It brings together the generation that grew up watching this exceptional and adrenaline-filled game show along with today’s generation to create an endless amount of unforgettable memories. To add onto the fun, Double Dare‘s original host, Marc Summers will be joining in to offer some key color commentary throughout the episodes. Now, Double Dare fans not only get the chance to watch all of the adventures on their TV screens, but they also get to experience the challenges in real life as well! Nickelodeon will be offering sensational, one-in-a-lifetime opportunities to try out Double Dare on-the-ground live versions at this year’s VidCon in Anaheim, California as well as at the Nickelodeon Universe at Mall of America in Minneapolis. 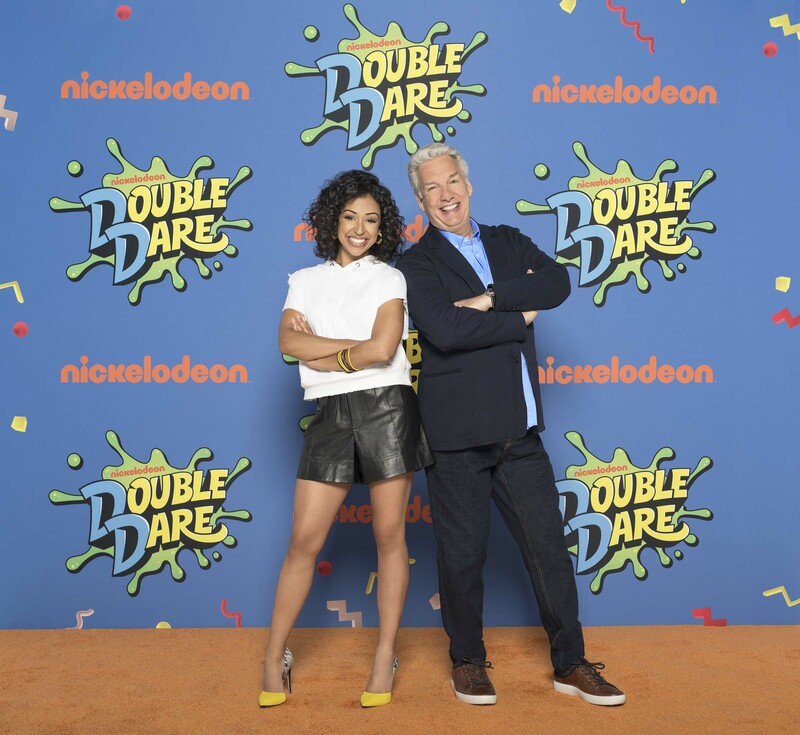 Check out Liza Koshy’s extraordinary video below giving YOU ten reasons why you need to watch Nickelodeon’s new Double Dare series. Don’t forget to tune in on June 25th at 8:00 PM ET / PT – you don’t want to miss it! Previous VIPAccessEXCLUSIVE: Renowned Beauty Brand Shiseido Celebrated The Launch Of Its Ultimune Product At An Intimate Event In Malibu — RECAP Here!